There's no need to leave Central Oregon when you're trying to find the perfect dress. Let your imagination run wild. 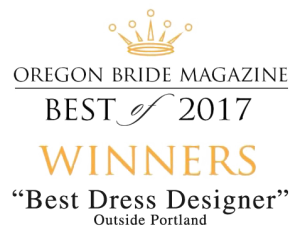 We have Oregon's "Best Dress Designer" outside of Portland here to make sure you leave your guests speechless as they watch you walking down the aisle on your wedding day. There's no other bride like you, so you deserve a wedding dress that's as unique as you are. Brittany is our Fashion Expert and Designer. She has a Bachelor’s degree from The Fashion Institute for Design and Merchandising in Los Angeles and a Bachelor’s degree in History from the University of Oregon. 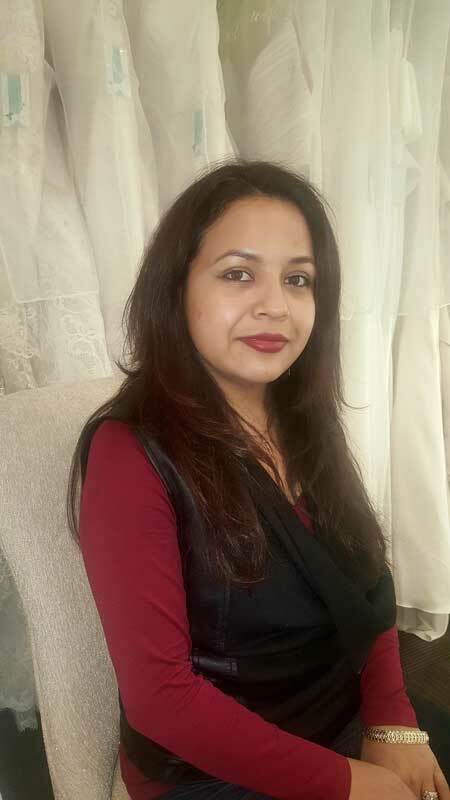 She worked in various bridal shops to put herself through college, where she gained her expertise in the field of bridal and fashion. 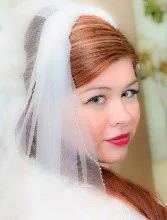 Her background in purchasing, sales and fashion will surely offer you the highest level of expertise to design the perfect look for your very special day. "Thank you Brittany for your great customer service, I felt confident and like a princess in my dress." Bridal Suite Disclaimer: All alterations and sewing are performed by an independent seamstress; Alin Gonzales of Alterations and Designs by Alin. The Bridal Suite highly recommends Alterations and Designs by Alin. However will be held harmless for any sewing inaccuracies or issues regarding seamstress services. Thank you. Make sure your wedding gown stays beautiful for years to come. Our Wedding Gown Preservation service is quick and easy. Call or stop by our dress shop to learn more. I have to admit I was a little skeptical about sending my expensive wedding gown off in the mail but the service, control and end result have been superb! "I had a perfect experience! From the moment we walked in my group felt at ease and my consultant was wonderful! She worked extra hard to ship in a sample of a gown I especially wanted to try and was very helpful with all of our questions. Thank you so much!"